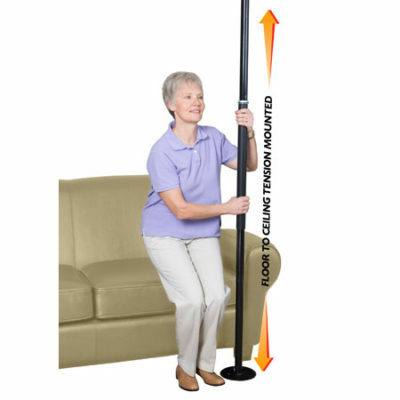 Tension Mounted Floor to Ceiling Transfer Pole and Standing Mobility Aid with Multi-Position Safety Support Handle for Elderly + Fits Ceilings 7-10 Feet. 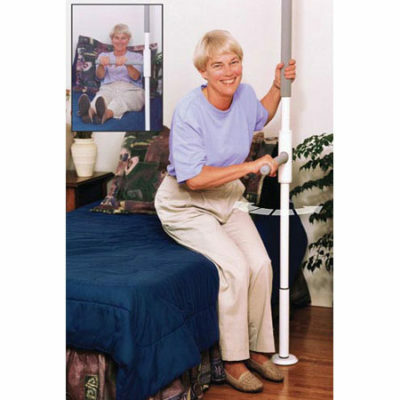 2 products in 1: Floor-to-ceiling pole with pivoting Curve Grab Bar that locks into place every 45 degrees. 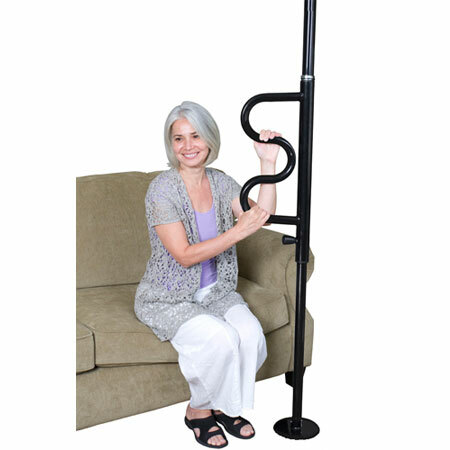 Adjustable: Fits ceiling heights from 7-10 feet. 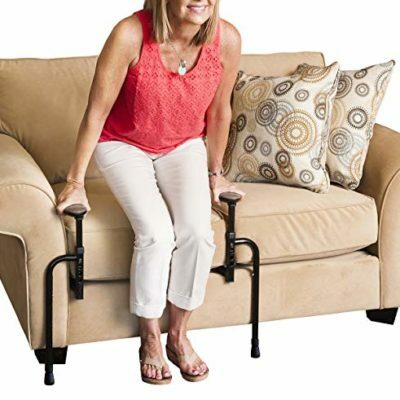 Adaptable: installs anywhere in the home without need for permanent installation. 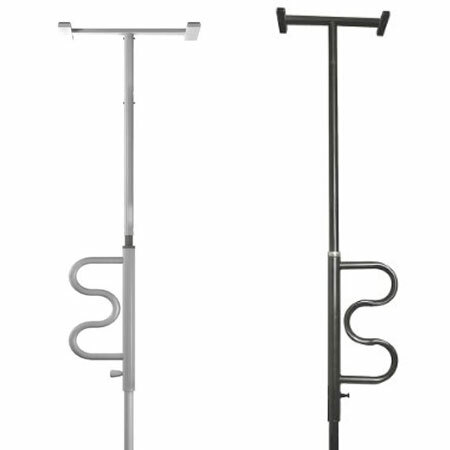 Rust resistant zinc plated steel with durable powder coat finish.